Plus, discover hundreds of ways to improve the spiritual quality of your life everyday! Do doctors tell you that you are infertile? Have you been told you’re too old to have a baby? Do you have medical conditions that seemingly make a pregnancy impossible? Do you want to have a child more than anything else in this world? If you answered “Yes,” I’m here to tell you that health, happiness, and a new family have all already been guaranteed to you. Imagine the sound of a child’s laughter filling your home. Picture having a family that daily brings you all the joy, peace, and love you could have ever dreamed of. Visualize your baby growing healthily inside of you, ready to lead a full and abundant life with you. In the name that is above every name, I am thrilled to be the vessel through which the Holy Spirit has brought about an amazing set of books for you. The problem of infertility in our generation is not a small one. Over a hundred million couples are estimated to face this problem world-wide. Yet, in the very heart of God, is an overwhelming desire to bless all human beings with children. Today, I desire that we look away from the inadequacies of our medical researches to the banquet of rich food prepared for us by almighty God. Today, I invite you to come and partake of this great banquet prepared by almighty God. The books I have written are offered as a prayer; the two-volume set has been born in the ovens of prayer. I have prayed, I have cried, and studied hard to be able to write this book. I have received so many miracles already that if you will fix your faith, babies are going to just come-It will amaze you. If you will dare to fix your faith (trust) in Jesus and His promise that is written for you, you will receive all your heart’s desire so that your joy may be complete. Never in my life have I known such love as the love that flows from the heart of God to all mankind. Reach out in trust like a little baby and receive it. I have written these books to bring you joy and happiness in your home because that’s what Jesus has commanded me to do. God has promised to bless you with all that you need so that your joy will be complete. I have written all the Lord has told me to write to His beloved women and I stand upon these promises because Jesus Christ is no mere man. No mere human could promise to solve all the problems of the world. But in His promise that he is able to meet all our needs, he proves once and for all that He alone is the great creator of the Heavens and the earth and all that is in it. Whoever Said That Was Wrong! “Woman, you are infertile.” Who said that to you? Can’t conceive, can’t reproduce, barren, sterile, incapable? Who said those words to you? Because they were wrong! This extraordinary 5-part mini-ecourse gives you an exclusive look at what you want to know about your fertility and who God wants to see you happy and leading a fulfilled family life. Taken straight from the pages of the new “Woman, You Are Not Infertile,” you will be one of the first to see the valuable resources that are available to you when you simply allow for the miraculous power of God into your life in real and meaningful ways! Simply enter you name and e-mail address below to receive this FREE, five-part mini-ecourse. I wrote Woman, You Are Not Infertile as a way to open the world of God’s blessings to women just like you who were experiencing infertility AND being told by the science community-your doctors and physicians-that there was nothing you could do to have children. The reality is that there is something MORE than medicine that people have been turning to for centuries: God. His healing powers, creative miracles, and abundant love for you can right any wrong in your life. There is no “problem” or “condition” that is too big for God to heal. He wants to reward you with children for your service and faith. He is waiting for you to turn to him with a full heart and confess your truest desires to Him. He longs to make you happy with a full family, health, and healing from any illness or issue that affects you today. Science is helpful. Doctors are very knowledgeable. There is much you can learn and do to help your condition with medicine. But, when science tells you there is a wall, that you cannot go any further toward fertility, it’s time to turn to God, the all-powerful, all-knowing, and all-desirous of your eternal and earthly happiness. Pray when you are working with doctor, definitely. But, if that door seems to close, open up your heart to the Lord and listen for His directions and guidance…they will be there and my book, Woman, You Are Not Infertile will help you to listen and hear. Woman, You Are Not Infertile is filled with page after page with everything you need to know (and more) to get started fulfilling the fertile and abundant life you’ve desired today. Drawing from my own personal experiences as well as the teachings of the Bible, I’ve created a book that outlines each step of the healing and fertility process for you. Woman, You Are Not Infertile is my small way of sharing my calling from God to heal with you. But, it’s more than just that. Woman, You Are Not Infertile is 150+ pages of information that will not only educate, but inspire you; will not only equip you with the best advice and recommendations, but will also motivate you to begin living thetotallyfulfilled and rich life you deserve. Comprehensive and compassionate explanation of how the Bible can help you find the fertility and Christ-centered relationship you desire. Extensive review of all the steps you will need to take to welcome God’s miracles into your life. Withrecommendations for your specific infertility issue. Step-by-step instructions for the total Christ-centered healing experience; everything from how to confess your heart, how to turn to scripture for support, and how to manifest healing in your life. Detailed information on how to engage God to have Him bring abundant blessings into your life. There is God’s power stored up in you that is waiting to be put into use. So why not call it forth and let it be used to the glory of God. Today you may face the wall of infertility; you may have done all you know how to do without success. I just encourage you to praise God and just watch what He will do. The God who did it for women throughout history, will do it for you. Remember, there is no problem too big for God’s healing hands. Tell Him the problems you face. Tell Him what you desire for Him to do for you and believe you have received it. Thank Him for it through faith. Then start to praise Him-the more the praise, the quicker the victory. God bless you. My book will help you with every step of your path toward this relationship with God. I am here to help and I want only your happiness and health! Woman, You Are Not Infertile is filled with information to help you during this difficult journey you are on. You will learn that God is with you at all times and He wants to see you happy. In addition, you’ll learn so much more to glorify God and celebrate your own abundance. Discover a series of powerful confessions that will empower you to see a full manifestation of your desires through God’s blessings. Explore the scientific background for many of the most common infertility issues, including congenital disorders such as ovarian and hormone problems, Turner’s disease, womb and fallopian problems, and Atresia-knowing what science says helps to understand the word of the Lord that much more clearly. Discover what the Bible offers to you…creative miracles are there for the taking, if only you ask and believe. Learn how to read the powerful messages of scripture that explain how Christ’s miracles can touch your life, too. Find out how to receive the Holy Spirit into your life to recognize the full power and joy of the Holy Spirit’s blessings. Uncover the spiritual truths about pregnancy when you have been considered “sterile,” science and the Bible differ considerably here…new life can be yours! Husbands, learn what role you can play in the healing and health of your wife and unborn children through simple, loving, God-filled actions. Equip yourself with a spiritual “arsenal” filled with powerful, heartfelt prayers and confessions that will help you manifest the Lord’s desire for you and your family. Discover the power of praise and worship-you can receive blessings from God that you would have never imagined possible before. Unlock the mysteries of some of the most popular and timeless Biblical stories-you will be amazed at how the Bible speaks directly to your desire for children. Learn how to lift up your voice in praise and prayer to God-even when you are facing seemingly impossible situations, God is there to help, heal, and raise you up. Find all the spiritual tools you need to face your situation with a full heart and a dedicated spirit-with firm belief, you can confirm your truest hopes and wants. Learn the “Prayer Points” that will help you to open your heart to the Lord and let Him hear your truest self and desire for a child. I’m so sure that you’ll be totally satisfied with Woman, You Are Not Infertile that I’ve offered a 100% money-back guarantee to ensure your total satisfaction with the book. With this kind of no-risk offer, I want you to see how God moves you when you read the book and see what a blessing it can be in your life. Click here to get your copy today! Ten times out of ten, however, after you read my book and share your heart and desires with the Lord for the very first time, you’ll discover you really do have a personal relationship with Jesus. In fact, you probably have a much richer spiritual life than you ever imagined possible. And, when faced with the issue of infertility, God is opening the door to a deep and profound relationship with Him; one that is filled with love, compassion, and joy…Yes, you read right…JOY…in God all things are possible and as you learn how to trust God and put your faith in His Son, you will quickly see that there is no problem too big, no concern too heavy, for Him to heal, help, and remedy with his creative miracles of new life and love. I wrote Woman, You Are Not Infertile for all people-both those who already have a strong faith and prayer life and for those of you who never really imagined yourself in a committed personal relationship with Christ. No matter who you are when you read my book and allow God to speak to you through it, you will quickly begin to see how richly blessed your life is (and can be) when you allow for more and more of God through-in and throughout your every day. Don’t worry; I know it may seem daunting at first to put your total faith in the Lord, but without fail, that first step you take toward God will lead to a world of inexhaustible riches in your life. It is magical. Discover the secrets to overcoming female infertility, including damage that can occur to reproductive organs such as the fallopian tubes, ovaries, and the womb. Identify the real causes of infertility in your life, so you can begin leading the family life you desire. Understand how certain growths can affect your uterus and womb, including cysts, tumours, polyps, and cancer and see what the Bible has to say about these growths. Discover a series of daily confessions that will help reveal your heart to the Lord and allow Him to bring the health and healing you desire into your life. Find out the scientific causes of damage to the fallopian tubes, including inflammation or swelling, bacterial infections, endometriosis, and blocked tubes and see what the Bible has to say to help begin the healing process with your very first prayer. Learn about common problems that affect the ovaries, including early or premature menopause, low hormone levels, and polycystic ovary syndrome-none of these issues are a real problem for Jesus Christ to heal…He is, after all, the sustainer and giver of life. Put your trust in Him in all that you do. Learn how to invite God into your marriage, your daily life, in ways that you never have before. You will be amazed at how fruitful such a blessed relationship can be. Find out what the Bible says about secondary infertility-the inability to conceive when you have already given birth to at least one child-God’s promises to you are clearly stated and your children are God’s reward to you. Discover the combined power of God’s word and the power of your own words to effect real change and fertile prosperity in your life. Learn how to draw nearer to Jesus Christ so you can recognize and benefit from his life-giving blessings throughout each and every day. Step forward in your path to abundant fertility with a collection of poignant prayer points that will allow you to speak your truest heart and desires to God. And, so much more wealth of information and Biblical support to help you as you move forward..
Christ is willing to help the helpless anywhere if the helpless are willing to acknowledge their helplessness and reveal a readiness to be guided. So today, I want you to know that to receive God’s blessing, you must be willing and you must ask for it. Home As The Happy Mother Of Children. an opportunity to witness the miraculous benefits of giving yourself over to God in faith and love…healing is just a prayer away! Indeed, the list of possible rewards of a renewed relationship with God where you offer your infertility to Him and ask for healing goes on and on, but when you begin living this Christ-centered life you will assuredly discover your own rewards. The bond that you will achieve between yourself, your partner, God, and your family in Christ will defy your wildest expectations. Are you ready to witness the amazing and miraculous power of the Lord? Do you want to feel a sense of great awe and love as you see the power of God in every area of your life? Do you want to improve your personal relationship with Christ and see how, when you confess your heart, your dream of a family can become a reality? Can you imagine what it would be to find a calm and peacefulness as you immerse yourself totally within your relationship and trust with God? Do you want to have an exultant experience of seeing that All Things Are Possible With God? If you answered “Yes” to any of these questions, a faith-based answer to your infertility is the answer for you. This is what Woman, You Are Not Infertile IS. That is what Woman, You Are Not Infertile can DO for you. Are you ready to live the life God has in store for you? If so, I am ready and excited about helping you along on your path, the Lord’s path. Let’s get you started and prepare you to experience miracles in your own life starting now. 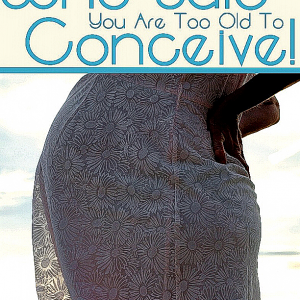 You can have the life you desire and Woman, You Are Not Infertile will help! There is no better time to start relying on God for your health and healing and the benefit to your family than today.Woman, You Are Not Infertile gives you everything you need to get started on one the most blessed experiences of your life. When you download your copy of Woman, You Are Not Infertile, you’ll also get the bonuses that are filled with valuable information for you and your family…ABSOLUTELY FREE! In this wonderful booklet, you’ll see that God wants you to know that delivering a child is ordained to be: Easy and without Hassles. Brighten your day by relaxing in total comfort and get cosy with the exciting information in this book. It is your time to shine in your pregnancy. Blissful pregnancy and pain-free childbirth is your heritage from the Lord and you’ll learn how to allow for all His blessings in this one-of-a-kind resource. Choosing your baby’s name can be one of the most important decisions any expectant parent can make.It is an exciting time and great things are happening in your life and a new baby is coming into your family. There is joy and excitement everywhere and I rejoice with you. Yet you must decide on a name for this new bundle of joy coming into your life.In this helpful bonus booklet, you’ll learn how to quickly and easily select the perfect Christian name or a Biblical name for your baby.It may not be a Christian or Biblical name but you want to make sure the name will be a blessing to your child. Learn about the power of agreement in your chosen name. Understand the history of naming according to the Bible. Discover the right and wrong ways to name your child. Find out how to listen to the voice God as you go about choosing a name. This extraordinary bonus booklet will allow you to give your child a name that will have real meaning and be a true blessing in their life. The Benefits from these full-length bonus booklets alone is worth their weight in abundant blessing. They’re FREE for you when you choose to make a one of the most important and positive steps forward in your family’s life today. 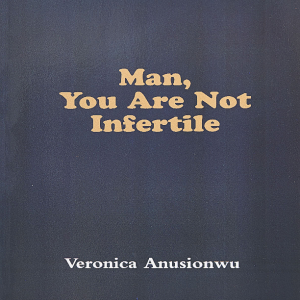 YOU CAN NOW PURCHASE “WOMAN, YOU ARE NOT INFERTILE” UPDATED VERSION WITH MORE INFORMATION TO HELP YOU CRUSH INFERTILITY ONCE AND FOR ALL. 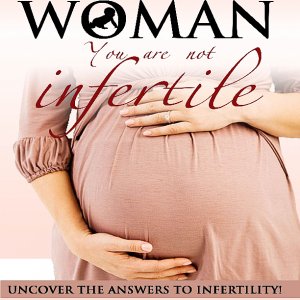 Get your own copy of “Woman, You Are Not Infertile” and take a full 60 days to read everything. If you change your mind and decide that you are not 100% thrilled with the amazing amount of information in it, I absolutely insist that you ask for a refund! I wrote Woman, You Are Not Infertile for you. I shared from my heart, personal experience, and from my lifelong calling from God. It’s a collection of the most valuable information and resources on infertility and spirituality available today. And, it is meant to help equip and inspire you to see what wonders await you when you take that leap of faith to rely on God for your health, healing, and happiness. His ways are truly miraculous…you will see! I hope you find much joy and guidance within its pages…all is possible with God! Best Wishes and God Bless You! P.S. In a few minutes, you can begin allowing God’s blessings to enter your life, richly and abundantly, as you discover the Biblical secrets to overcoming female infertility with Woman, You Are Not Infertile. With over 150 informative and prayer-filled pages with a powerful, loving message including hundreds of tips and ideas for your specific situation, you’ll see how rewarding a God-focused life can be and how giving over your life and fertility to the Lord can be the best decision you’ve made for your family ever!